May | 2011 | Quilting my way through life! It’s that time again, Spring International Quilt Market. 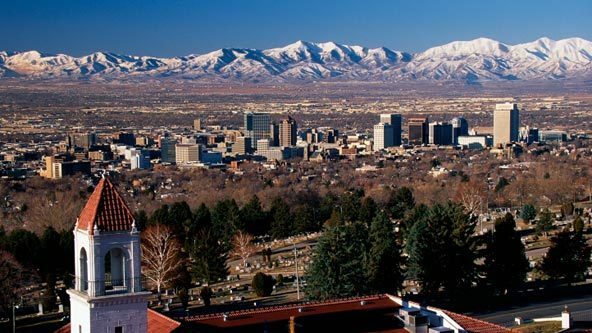 This year it’s in Salt Lake City, Utah. I can’t wait to see the city, and I’m anxious to show off my new designs I’ve been working on all winter. My oldest daughter, Chloe, will be attending with me. Although we’ve traveled throughout the country on family vacations, we’ve never been to Utah, and Chloe’s never been on a commercial airplane. This is sure to be an adventure! I’ll be back next week with lots of photos and I’ll be showing you my new patterns too! Thanks to everyone who joined in on the blog hop! I know you had a lot of fun and saw some awesome quilt blocks. 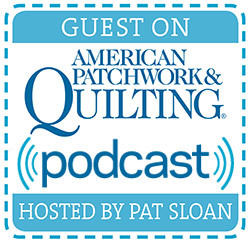 There are so many talented quilt designers and Quiltmaker did a fantastic job of organizing this blog hop along with putting out an awesome publication. For those of you who didn’t win a free issue on my blog or another’s blog, please visit your local newsstand this week and buy one. You’re sure to find lots of inspiration on those pages, I guarantee it! After a random drawing, comment #25 by Gill Watson is the winner of a free issue of 100 Blocks vol.3, congratulations! Please send me your address and you will receive a copy of this issue really soon. The winner for a fee pattern of choice for subscribing to my blog is: hempeltammy63@gmail.com. Please email me and let me know which pattern you would like to have and I’ll ship it right out to you. Don’t forget to also send me your address. Thanks again to all of you for participating in the blog hop! Welcome to Quiltmaker’s 100 Blocks vol 3 Blog Hop! 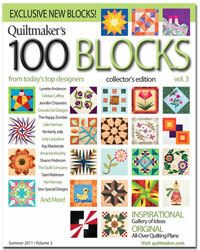 The folks at Quiltmaker have done it again with another great issue filled with beautiful blocks that will inspire! I’m honored to be part of this issue that will be on magazine stands May 10th. My block, #208 is found on page 29. 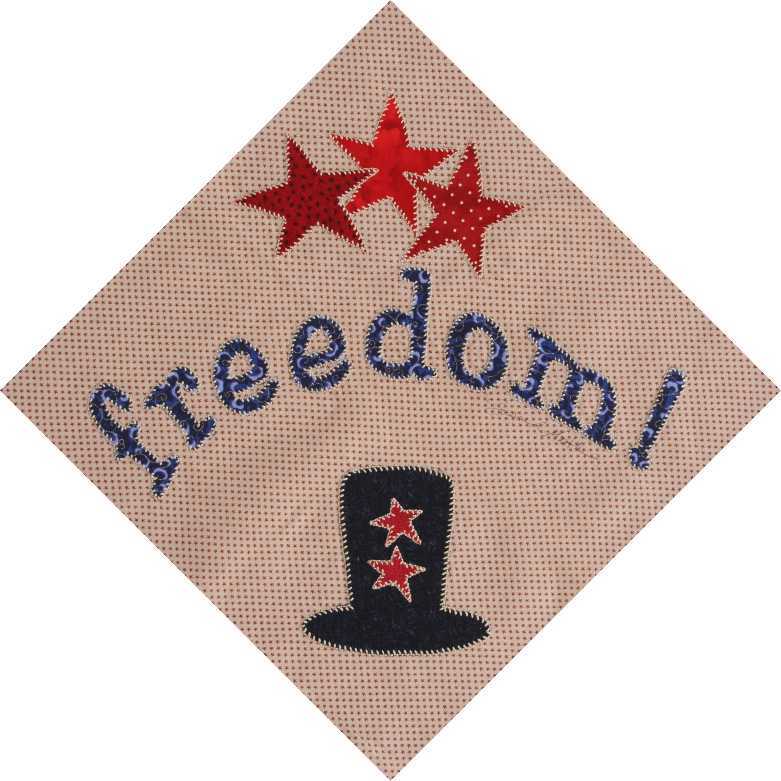 I submitted this block for the spring issue because it’s the perfect time for all of you to get started on a patriotic quilt that can be finished in time to hang for your 4th of July celebrations. I also made the block into a quilt that is featured in this issue’s gallery found on page 82. So with just one 12″ block you can make this adorable quilt! Please subscribe to my blog to follow me as I “quilt my way through life.” Each Tuesday I share with my readers a hot tip. You can submit your own hot tips to me here and if I use your tip, you will receive a free Suzn Quilts’ pattern! Join me here too as I show my new designs in the next few days. 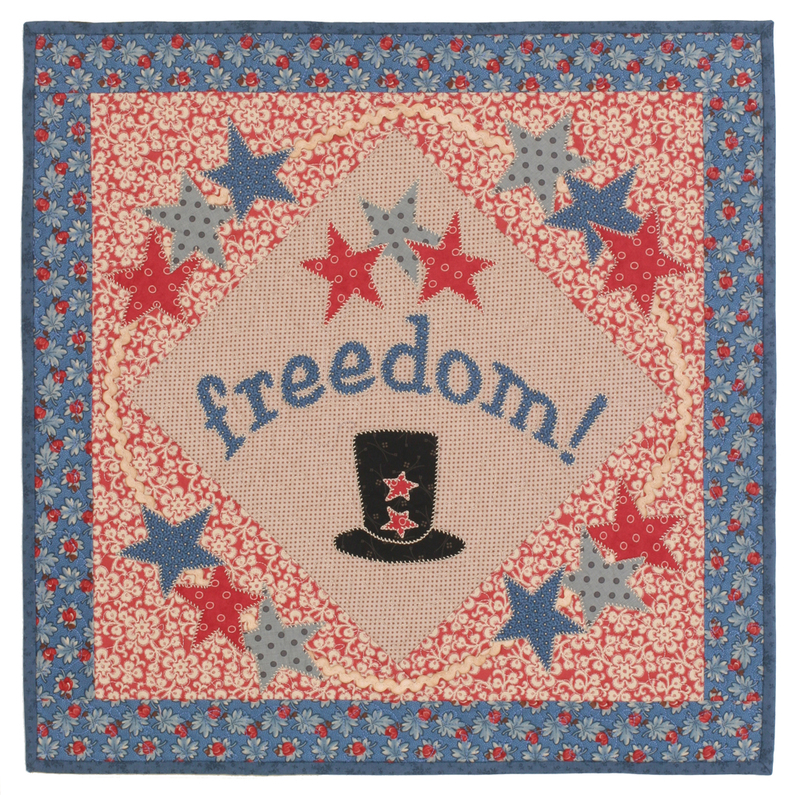 All of my designs are available at quilt shops as well as on my website. Thanks for stopping by! I hope you’ve also checked out the other designers on the blog hop. For a chance to win a free copy of 100 Blocks volume 3, just go back to the top of this post and write me a comment! Subscribe to my blog and be entered to win a second drawing for a free pattern of your choice! If you’re already a subscriber, let me know in your comment and you’ll be entered too. Quiltmaker has done it again! They’ve compiled another wonderful collection of 100 unique blocks by 100 top designers and I’m lucky enough to be one of them! Today starts their blog hop where a bunch of the designers and Quiltmaker will be giving away lots of neat stuff, so join in the fun! You can get the complete list of participating blogs by going to their site here.